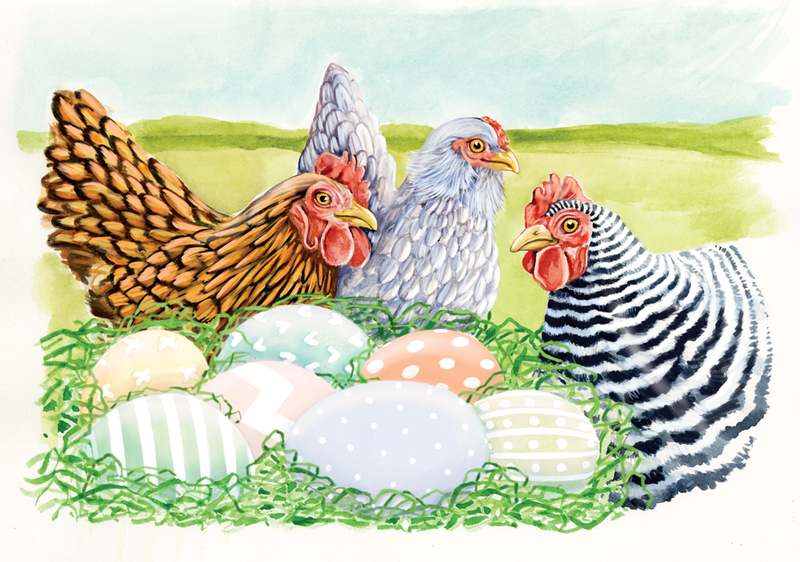 Take a drive down a Vermont country road, and you won’t get far before you come across a hand-painted sign saying “Eggs for Sale.” A lot of farmers sell fresh eggs as you’d expect, but you also see signs in front of cottages or village homes. 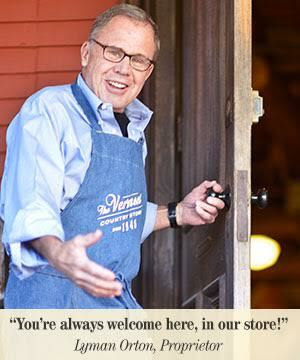 These days, it seems everyone in Vermont keeps a few chickens, even some of our storekeepers. Now that the daylight hours are longer, eggs are even more plentiful. By nature, chickens lay eggs primarily in the spring and summer. 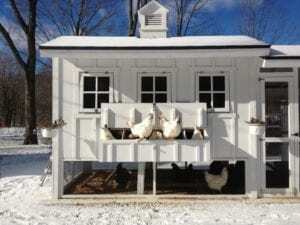 From the looks of it, some of these chickens have luxurious accommodations! It’s very interesting to see the lengths that some folks go to so their chickens can lay eggs in comfort and style. 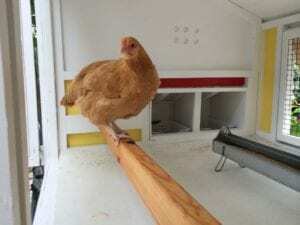 Their surroundings are known to improve egg production, which hits its peak in a hen’s second and third years. Happy chickens lay more eggs! Because this is Vermont, payment is on the honor system. The “cash box” is often a coffee can with a slot cut in the lid and a few rocks inside to keep it from blowing over. It stands unattended at the end of the driveway, next to a picnic cooler situated in a shady spot. You push folded money through the slot and take your eggs. Folks who keep hens more for fun than for profit will also make eggs available where they work, or even from their cars! It’s pretty common to see the exchange of eggs for a modest sum outside of church, the doctor’s office and the bank. It’s so convenient to get eggs from our neighbors that we never write eggs on our grocery list. We just pick them up when we’re out and about. And what eggs they are — you won’t find anything like them at the grocery store! The yolks are rich, dense, and golden, with a slight nuttiness to the flavor — great for baking and for a hearty breakfast. Shells are thick and come in a rainbow of blues, browns, yellows, soft greens, even olive. A farmer told us you can tell what color egg a hen will lay by the color of its earlobes or its beak, but even so, you can still be surprised. About the only color you don’t see around here is white, which can be a problem come Easter. Purple dye on a brown egg equals mud. Red dye on a green egg also equals mud. Yellow dye, well, you can’t even tell it’s there. We tinkered with stronger dyes, but our kids came up with a better solution: they left the egg color alone and painted white dots and stripes for contrast. Leave it to the littlest Vermonters to figure out how to make a good egg better!